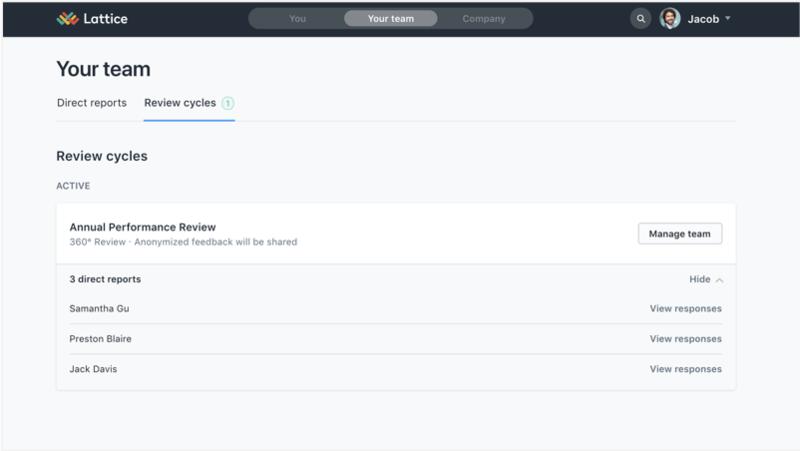 Navigate to the “Your Team” and go to “Review cycles”. Reviews that require attention will be highlighted. You will also receive an email notification and task on your “You” page when there is something for you to complete in a review cycle. Click“View responses” to see all feedback for that direct report.